UNI Products J.G. Côté Inc. started when Mr. Jean-Guy Côté, a well-known fly-tier was looking for innovative products to tie his flies. He decided to spool his original discovery, a thread with improved tying characteristics when compared with existing market offerings. At first Jean-Guy only intended to share the new product with his fly-tying friends, but soon the demand increased to the point where he decided to do it in full time. In 1989 he founded UNI Products J.G. Côté Inc.. The product line grew each year so that we now offer over 27 different products (UNI-Thread, UNI-Floss, UNI-Stretch, UNI-Mylar, etc.) with more than 800 different item codes. Uni Tray Spool Caddy, this smart plastic box will keep 36 Uni spools of thread or tinsel neat and tidy and allow run off that you control preventing spools from unravelling.Note: picture shows Uni Tray Spool Caddy with reels, it's supplied empty. Uni Spool Lock Pins - A simple yet very effective pin that stops unravelling but allows controlled run off.10 Uni Spool Lock Pins per packet. Uni Pre Waxed Thread 8/0 50 yards - The favourite tying thread. 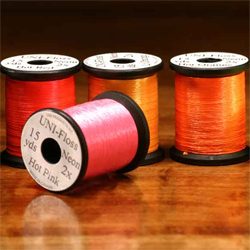 This Uni Pre Waxed Thread is bright coloured, strong fly tying thread. 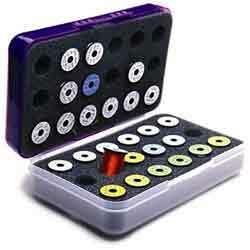 - A huge seller and a must have in any fly material collection. 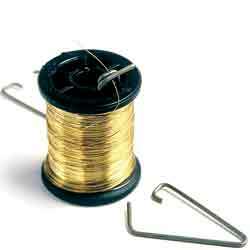 6/0 Uni Pre Waxed Thread - 50 yards - A hugely favourite tying thread. 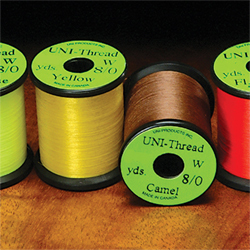 The 6/0 Uni Pre Waxed Thread is bright coloured and very strong, a must for your fly tying material collection. Uni Glo Thread - 3/0 white phosphorescent (Glo in the dark) thread. 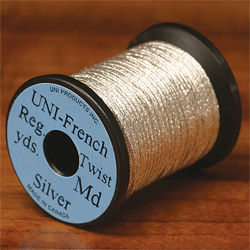 Uni French Twist - A round twist thread. Used in a lot of traditional salmon patterns. Try using Uni French Twist with Pike & Saltwater flies. Size medium in Silver. Uni Glo Yarn - A glow in the dark yarn. 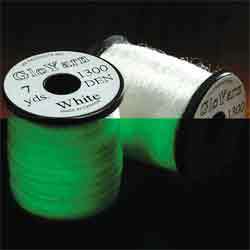 Uni Glo Yarn Superb for wing posts when fishing at dusk. 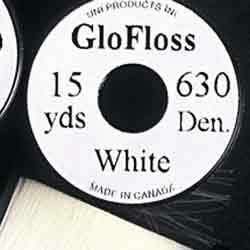 Uni Glo Floss - A glow in the dark floss. 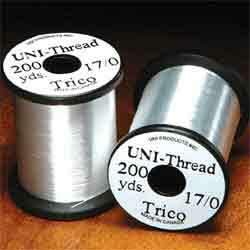 Uni Trico Thread 17/0 - Designed for tying on hooks size 20 down. Amazing strength to diameter. The Uni Trico Thread 17/0 is translucent white. 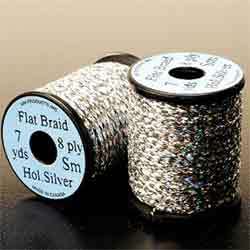 Uni Holographic Flat Braid - This new silver coloured holographic braid has a wonderful reflective quality and has numerous applications throughout fly tying. Uni Mono Clear Tying Thread - This superb mono thread will completely disappear when touched with head cement, superglue etc. Uni Mono Clear Thread is excellent for tying synthetic saltwater patterns! A really strong ribbing material. Used for tying synthetic saltwater patterns. 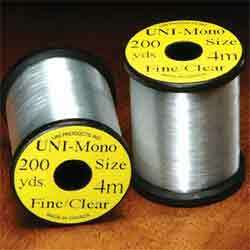 Uni Mono Clear Tying Thread is supplied in 2 sizes, Fine-200y spool and Medium 100y spool. 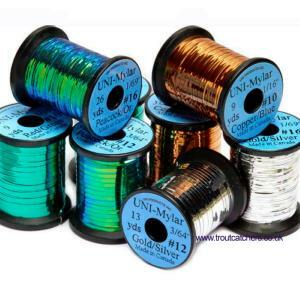 Uni Holographic Rainbow Mylar Tinsel, soft, high quality metallic rainbow tinsel used for ribbing and to form bodies. 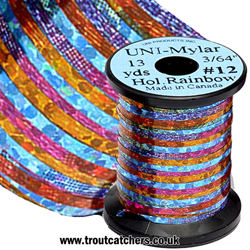 The Uni Holographic Rainbow Mylar Tinsel, exclusive to Uni, comes on spools with a choice of three sizes, Small #14=1/32 ; Medium #12=3/64" ; Large #10=1/16"
Uni Nylon Extra Strong Thread - un untwisted, unwaxed thread that lays very flat. Uni Nylon Extra Strong Thread is great when very little build up is required. 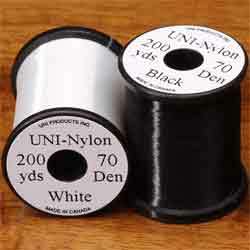 Uni Nylon Extra Strong Thread available in either black or white and choice of gauge, very fine 200 yard spool, or medium 100 yard spool. Uni Big Fly Thread 3/0 - Specifically designed for larger flies. 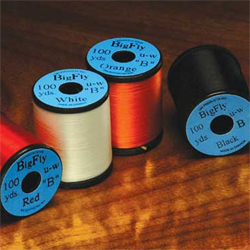 Uni Big Fly Thread 3/0 is very strong and untwists easily for flat use. 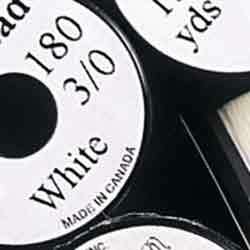 100 yard spools. 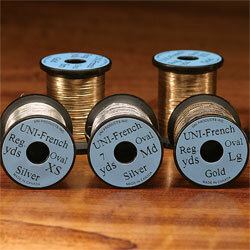 UNI French Oval Tinsel is a very high quality metallic tinsel used for many fly tying purposes including ribbing. The UNI French Oval Tinsel is varnished so will not tarnish it also has an extra strong core making it a premium fly tying product. 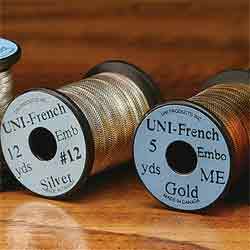 UNI French Oval Tinsel available in Gold or Silver with a choice of 4 sizes; Extra-Small (30 yard spool - #14), Small (20 yard spool - #15), Medium (7 yard spool - #16) and Large (5 yard spool - #18). Uni French Embossed Tinsel - This is a welcome addition to any fly tiers range. Uni have produced an excellent embossed tinsel available in both gold and silver. 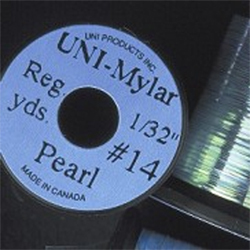 Uni Mylar Pearl - Flat pearl lurex. 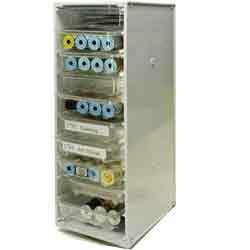 This Mylar is superb quality and comes in 4 different sizes. 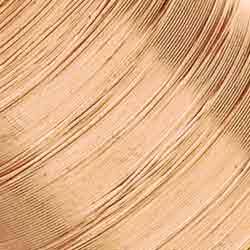 Uni 2 Tone Mylar Tinsel - Extra Strong Flat Metallic Mylar Tinsel, get 2 Uni colours for the price of 1 with a different tinsel colour on each side. A huge seller. 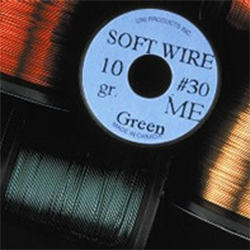 Uni Soft Copper Wire - Neon Coated - This copper wire is very bright, soft and easy to work with. Uni Neon Floss - A super bright single strand floss that will lay flat. 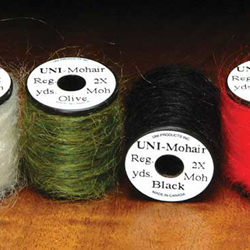 Uni - Mohair Leech Yarn - This long-fibred mohair is well established as an alternative to dubbing on leech & tadpole patterns. It adds lots of 'Shaggy' movement with the advantage of being very durable. Try using the Mohair Leech Yarn on Nymph patterns too! 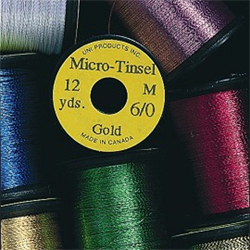 Uni Micro Tinsel 6/0 - Coloured braided tinsel. So fine you can tie with them. 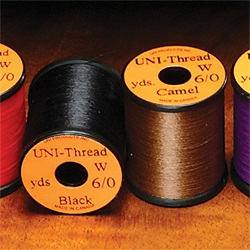 6/0 Uni Pre Waxed Thread - 50 yards available in 24 different colours. Uni Floss - A super quality single strand floss. A blend of nylon and rayon, it is strong & shiny. 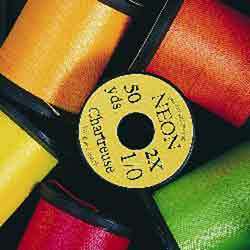 Uni Floss available in a massive 21 popular colours on 15 yard spools. UNI Flexx, a fine elastic strand which is easy to use and slightly wider than Flexi Floss. UNI Flexx has many uses including rubber legs, floss substitute (much easier to handle), bodies of nymphs, bloodworms, larva, and pupa etc. UNI Flexx stretch allows the material to be laid on the hook with a variety of tensions, this reduces / avoids slippage. Another benefit is UNI Flexx retains its original colour when wet, unlike many other products, plus the Flexx may be divided into even smaller strands if desired. 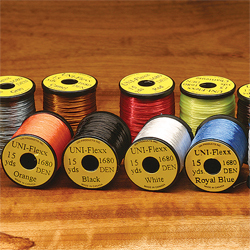 UNI Flexx, 1680 Denier flexi floss comes on a 15 yard spool and is available in 14 different colours. 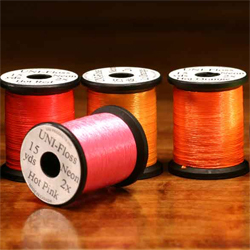 Uni 1/0 Neon Fluo Tying Thread - Extra strong thread which is excellent for streamers, salmon & saltwater patterns. 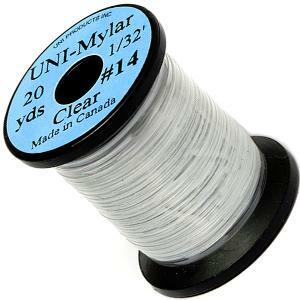 Uni Clear Mylar is perfect for body wraps on buzzers, shell backs, smaller flies etc. Uni Clear Mylar is a totally Clear Mylar tinsel which takes away all the hassle of cutting up polythene bags, one customer compared it to the old 'Sparton Clear Wrap' which was very popular when it was available, and featured on some Davie McPhail YouTube fly tying videos.